Living and working here in San Francisco, we think that the start-up universe centers here and for all practical purposes is the San Francisco / Silicon Valley (wink). Well, not true. The global ecosystem seems to be taking hold at a feverish pace and you don't have to be here in San Francisco to be relevant. 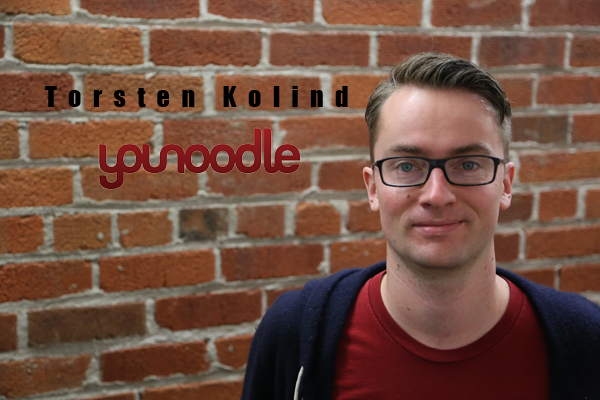 After the conclusion of Global Entrepreneurship Week, we catch up with Torsten Kolind, CEO of YouNoodle to discuss the global startup ecosystem. Give it a watch. 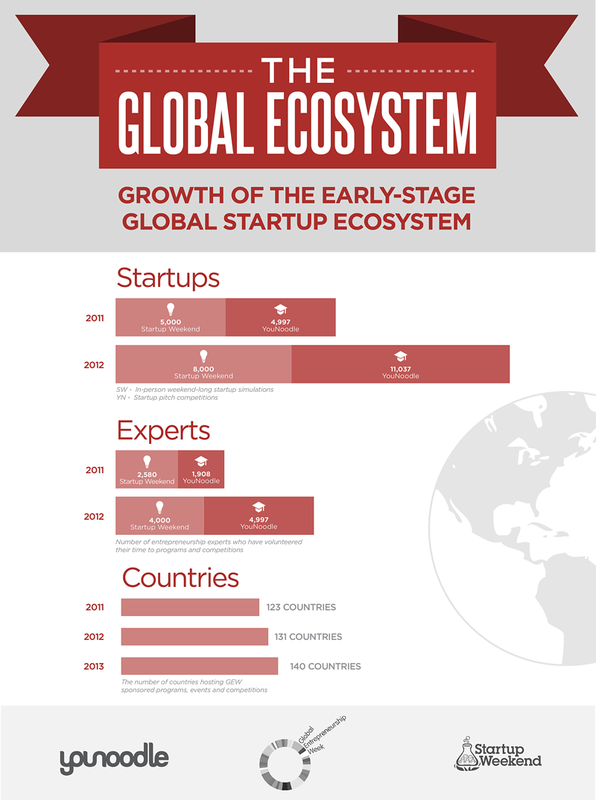 Also, a bonus infographic from YouNoodle, Startup Weekend and Global Entrepreneurship Week is found below. "At the time, Rebeca and myself were running startup competitions. I was in Denmark at the time and Rebeca at Stanford. It is pretty east to find a winner and give them a prize. The fun part of competitions is that everyone is evaluated in the same terms. So, we wanted to see could we can broaden this. Could we try to put them in the same network and can we make them talk to each other?...and that is the background on how we started the company"
"But, there are a lot of parts of the world where it is not culturally your typical career path to go and start a company. You are going to tell Mom and Dad and the rest of your family and friends that I don't want a normal job and that I want to start my own company. It is very risky. What we are seeing that there is more focus on that type of career path and more support." "We have seen a doubling of events and activities for startups over the last 12 months"